Patnitop is the most popular tourist spot of Jammu region. Located 112 kms from Jammu this famous hill resort is perched on a beautiful plateau, at an altitude of 2024 metres across which the Jammu-Srinagar Highway passes. 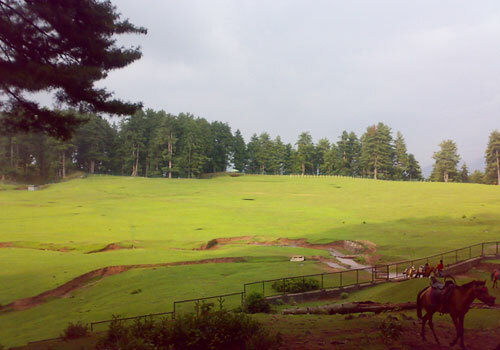 It has lush green meadow and pine trees which resembles with Gulmarg. Patnitop offers beautiful picnic spots, peaceful walks and breathtaking views of the mountains cape of the Chenab basin. In winter, it is covered with a white carpet of snow and its slopes have been successfully experimented for skiing. Skiing courses are conducted at Patnitop in the months of January and February. During winter months there are introductory courses for tourists / beginners at gentle gradient slopes of Patnitop. At Madhatop (5/6 Kms from Patnitop on Sanasar Road) excellent possibilities for all kind of skiing exist. Skiing equipments and wooden sledges are available on hire at Patnitop and Sanasar. For beginners Instructors are also available. Accommodation is also available at Patnitop Hotels. 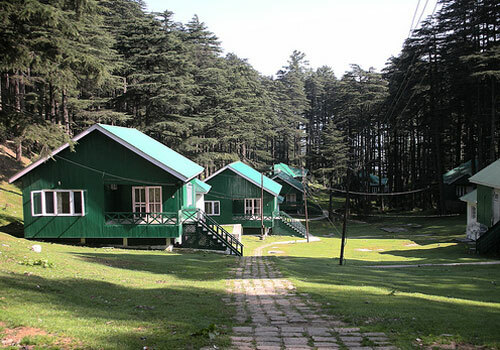 129 Kms from Jammu and only 19 Kms from patnitop is Sanasar (2079 m), a satellite resort of Patnitop, with a cup-shaped meadow surrounded by gigantic conifers. A place for a quiet holiday, the meadow has now been developed as a golf course. There are several walks in the surrounding hills. 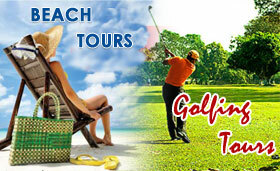 The resort itself is ideal for paragliding, which is being promoted by the Tourism Department. Equipment can be hired from the tourist office in Jammu city. May to June and September to October are suitable months for paragliding in Sanasar. Tourists with own vehicle can go on to Sanasar from Patnitop and return by the evening. The resort is 19 kms from Patnitop and a road connects the two. Sanasar can be reached by bus or taxi from Jammu, via Kud and Patnitop. Situated 62 km from Jammu, Mansar Lake is a beautiful lake fringed by forest-covered hills, over a mile in length by half-a-mile in width. Besides being a popular excursion destination in Jammu, it is also a holy site, sharing the legend and sanctity of Lake Mansarovar. On the eastern bank of Mansar Lake there is a shrine dedicated to Sheshnag, a mythological snake with six heads. The shrine comprises a big boulder on which are placed a number of iron chains perhaps representing the small serpents waiting on the tutelary deity of the Sheshnag. Two ancient temples of Umapati Mahadev and Narsimha and a temple of Durga are situated in the vicinity of the Mansar Lake, which are visited by devotees in large numbers. People take a holy dip in the water of the lake on festive occasions. Certain communities of Hindus perform the Mundan ceremony (first hair cut) of their male children here. 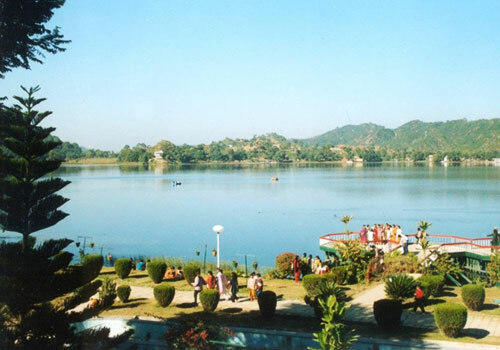 Mansar Lake also has boating facilities provided by the Tourism Department. Jammu is the winter capital of the state and next in importance after Srinagar. Most of the tourists who come to the Jammu region have the Mata Vaishno Devi shrine as their destination, which is quite close by. However, the spirit of holiness permeates through the entire city, so much so that Jammu is also known as the 'City of Temples'. If Bahu Mata is the presiding deity of Jammu, the dargah of Peer Budhan Ali Shah is the other shrine that is believed to protect the local people. The other major tourist attraction is the Raghunath Temple Complex, which is the largest temple in North India devoted to Lord Rama. The construction of this temple was begun by Maharaja Gulab Singh in 1851 and completed by his son Ranbir Singh six years later. 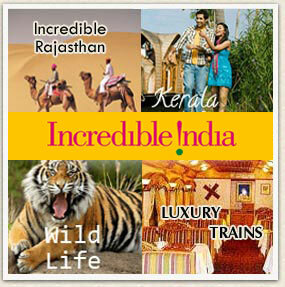 Places worth seeing are: Mata Vaishno Devi Katra, Mansar Lake, Bagh-e- Bahu, Jaggar Kotli, Sanasar, Surinsar & many more. Bhaderwah is a small valley-town in Doda, J&K. Bhaderwah valley is predominantly a mountainous torrid town situated 80 km from Batote. The festive mood in the district begins with the melting of snow in April and the sprouting of greenery all round. Kailash Yatra is another famous pilgrimage of the area which is considered an important Hindu pilgrimage. 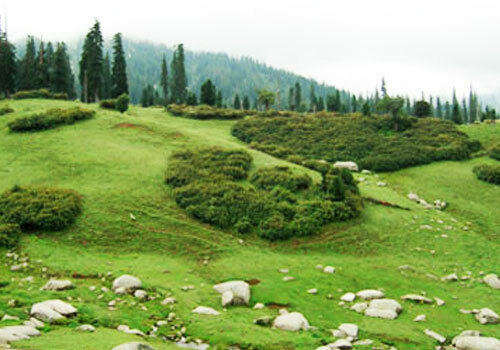 Bhaderwah offers to the tourist a variety of beautiful landscape, colourful local fairs, important festival mood and pleasant summer temperature ranges from 18 degrees to 32 degrees. Popularly called Chhota-Kashmir, has bewitching natural beauty which enthrills any visitor. The Udhampur city in Jammu and Kashmir has a significant place in the country. 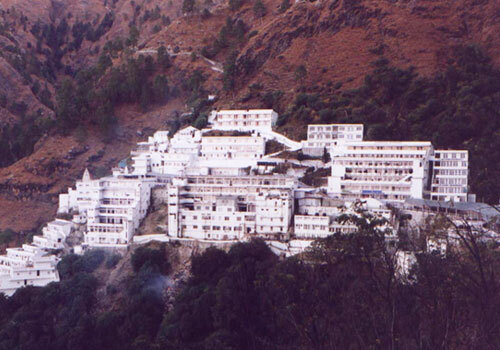 This is the place, where the famous Vaishno Devi shrine is located. 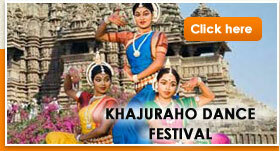 It attracts lakhs of pilgrims all through the year. Udhampur is a rail link between Jammu and Udhampur, which makes the pilgrimage easy for those devotees, for whom the arduous bus journey from Jammu is difficult. 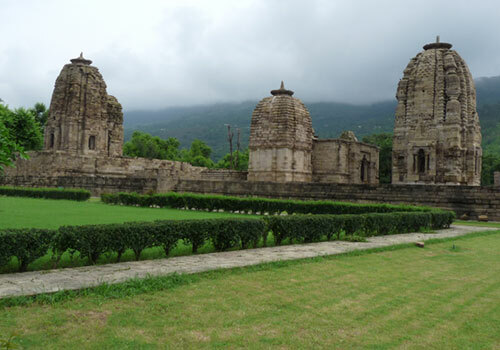 The Major Fascinating Sights at Udhampur are Babore Temples, Krimchi Temples, Ghora Gali, Ramnagar Fort . Udhampur is linked to Jammu by well connected rail line. A regular bus services are plied from Railway Station. Also number of Taxies, Deluxe Busses are available at these places. 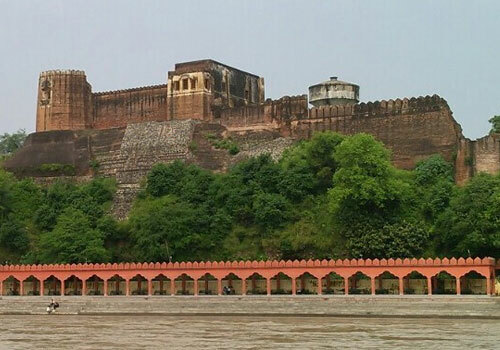 Akhnoor is a beautiful town situated at a distance of 32 km from Jammu. The Chenab river meets the plain in Akhnoor, just north-west of Jammu. This was originally the route to Srinagar in the Mughal era. Jehangir, who died on the way to Kashmir, was temporarily buried at Chingas. Akhnoor is also related with the legend of Soni-Mahiwal. This is a historic town with the ruins of the Indus-valley civilization spread along the river Chenab. The whole area commands a panoromic view. 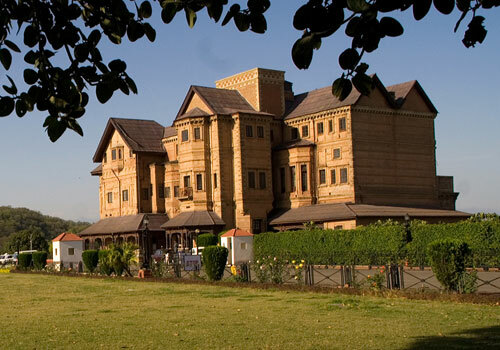 A nice place to be in Akhnoor is linked to all the major parts of the state from the Jammu. The town of Katra, which is close to Jammu, contains the Vaishno Devi shrine. Nestling on top of the Trikuta Hills at a height of 1700 m is the sacred cave shrine of Vaishno Devi, the mother goddess. At a distance of 48 km from Jammu, the cave is 30 m long and just 1.5 m high. At the end of the cave are shrines dedicated to the three forms of the mother goddess — Mahakali, Mahalakshmi and Mahasarasvati. Pilgrims start trekking to the cave temple, which is 13 km from Katra, enter in small groups through a narrow opening and walk through ice-cold waters to reach the shrines.